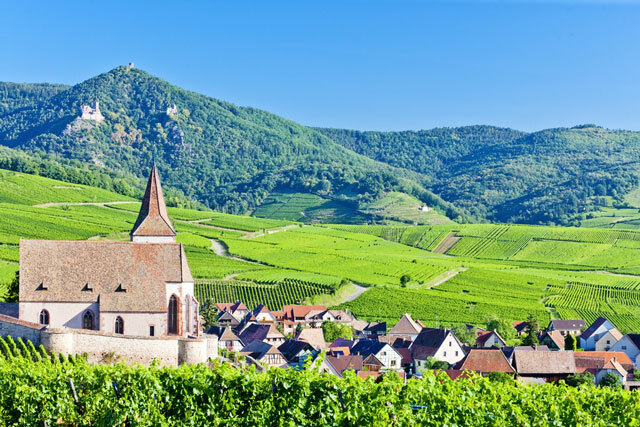 Alsace is a small region, but that doesn’t stop it having a vineyard full of amazing cuisine, breathtaking sights and, as we’re going to talk about here, beautiful villages. That may sounds like a piece of opinion and that’s because it kind of is, but enough people have the same opinion for us to be fairly sure that they’re all right. 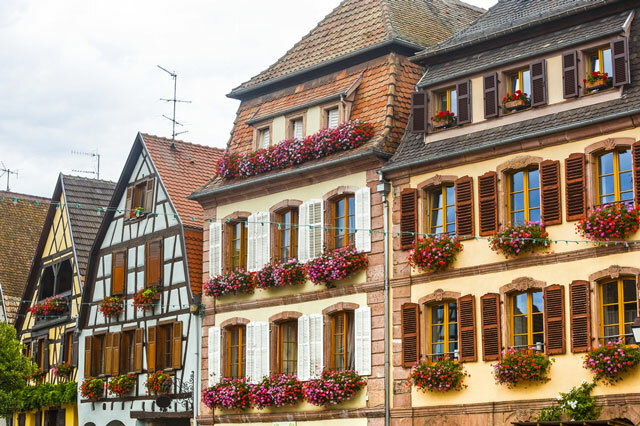 In fact, Alsace has so many UNESCO Heritage sites that you really can’t deny that Alsatian villages are something to be seen. We could go on with long and wordy descriptions that will probably just look like Wiki recitals, but the best way to show you is definitely through these great photographs of some of the best of the best. 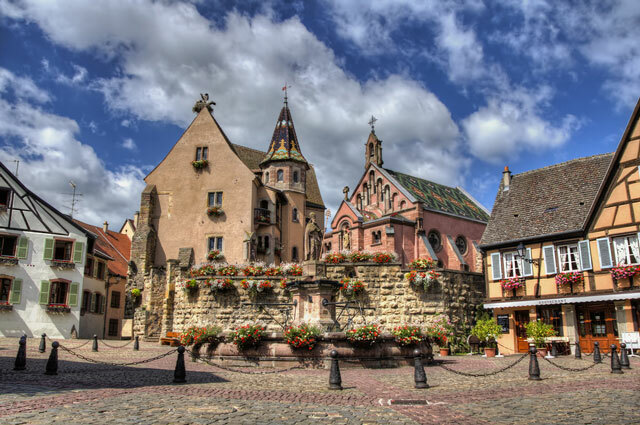 Here are the Alsatian villages you don’t want to miss. 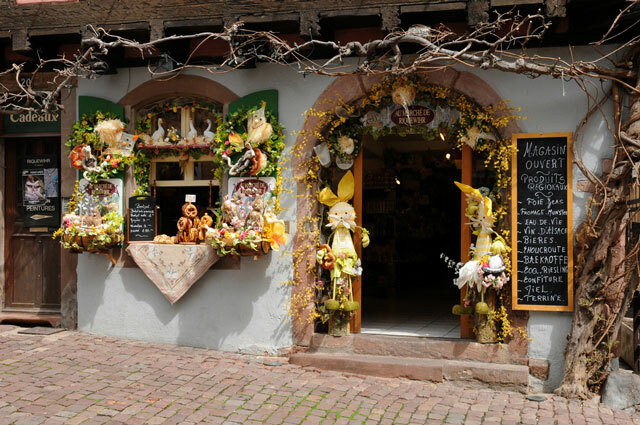 Eguisheim is at the top of the list simply because it’s one of the most popular towns along the famed wine trail of Alsace. Yes it’s a town, not a village, but that doesn’t take away from the village feel you get when you’re there. We’re also a fan of the #7wordwinereview so send us some more if you’ve tried any Alsatian wines that deserve your review. Anyway, here is Hunawihr. More flowers- geraniums this time- but they have a way of matching the village homes perfectly. 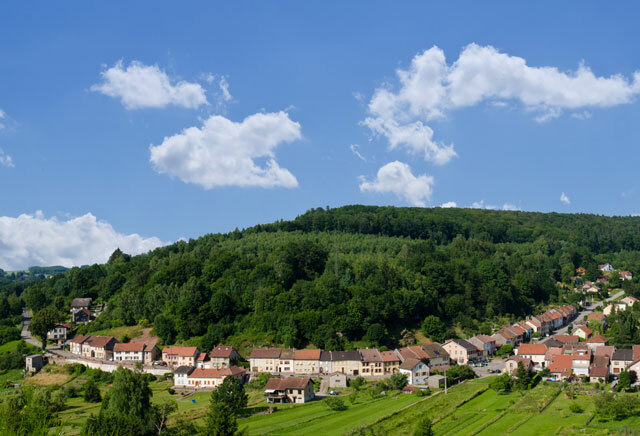 Mount Ste Odile is the highest peak in Alsace and you’ll find Mittelbergheim. It’s one of the quieter villages, and a comparative lack of English means it’s a good place to exercise your language skills. Sylvaner wine is the one you want when visiting. 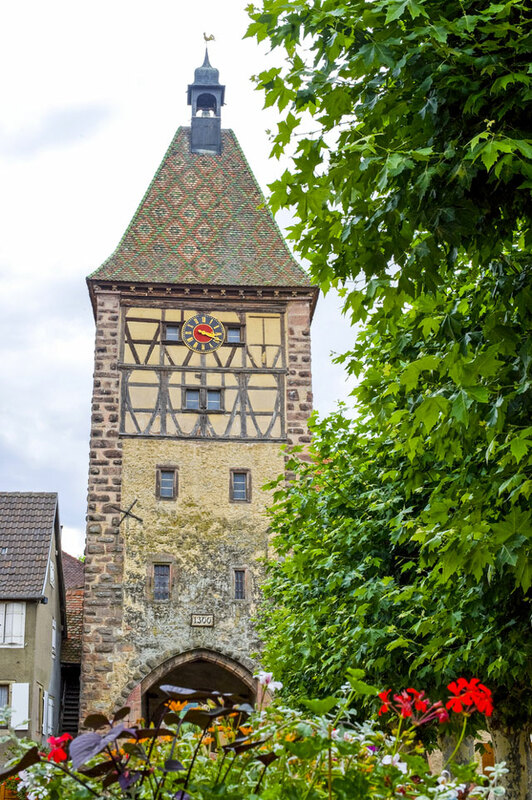 Riquewihr is another village that makes it to the top of the list for the traditional yet magnificent architecture. 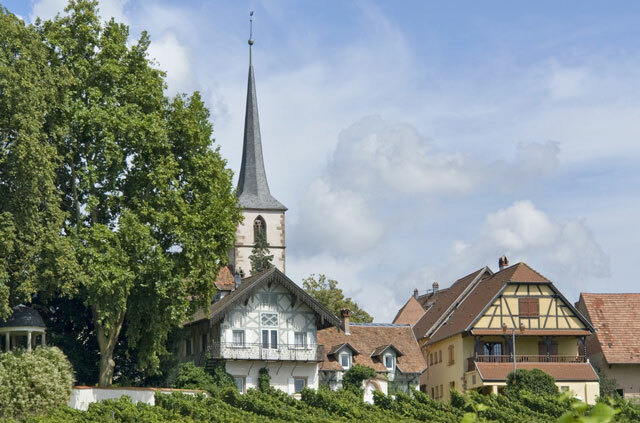 The local wine here is Reisling which contributes heavily to the famous Alsatian dish, Coq au Reisling. Saint Quirin is one of the smallest and oldest on the list. The religious structures of this village are thought to date back to the 13th Century, and the current church has a fantastic three-domed roof. That combined with the myth of a fountain and some very old glass-making techniques are enough reasons to go there, we think. We’ve done with the pleasantries on this list, so let’s end with a miserable one. During the 17th century, Bergheim was the central location of several witch trial. There is a witch house in the village which shows the history and trials of the 40-or-so women who were burned at the stake. That being said, the village is very pretty.